You know you want to become a hairstylist. So now what? Let’s say you’re pretty damn good at doing hair. You whip that mop into shape and your over-the-sink, store-bought coloring jobs look about, or as good as going to the salon. You’re probably the first one your friends call when they’re looking to try something new. Maybe it’s your passion, maybe it’s your side hustle or maybe it’s somewhere in-between. Or, maybe you’ve got almost no experience at all but still like the idea of becoming a stylist. It’s a career that pays well, has a lot of flexibility and rewards passion and creativity. That’s cool too. Either way, if you’re exploring how to become a hairstylist in California, you’re in exactly the right spot. It’s that simple (chuckles to ourselves). We’ll dig in a lot deeper below. For those of you still in High School or those of you who may have gone a different route at that stage in your life, you’ve got to finish. Any accredited cosmetology program, especially those who accept state & federal financial aid, will require you to have your diploma or GED. The only program that we could find that would allow you to enroll in their cosmetology program without one, required you to simultaneously be enrolled in a GED program, and that program was in Florida. Yeah, we know – we’re a cosmetology school and that probably sounds like we’re just plugging our program. While we’d love you to come check us out, the bottom line is that the State of California requires at a minimum of 1600-hours of education credits in order to take the State Board of Cosmetology Licensing Exam. Outside of the mandated hours, there’s simply a LOT to learn. Obviously, a lot of that is the actual cutting and coloring techniques, but a huge piece of the curriculum includes everything else you need to know to have a long, successful career in the industry. That’s things like managing clients, self-marketing, building a portfolio and so much more. Of course, it’s also making sure you have a firm grasp of the health/safety requirements and other processes you’ll need to know in order to actually pass both the written and practical licensing exam. It’s not a simple exam that you just show up for and pass. For someone who’s never been a licensed stylist before, the only alternative to an approved cosmetology program in California would be an official apprenticeship. You can get more info on the apprenticeship option at barbercosmo.ca.gov, but in a nutshell, it requires 3200 hours of on-the-job training over a 2-year period, plus an additional 220 hours classroom time for “Related Supplemental Instruction”. And of course, you also need to find someone qualified to have you apprentice under them and you still need to pass that licensing exam. Yep – that licensing exam we’ve mentioned a dozen times already… it’s a thing and it’s not an easy exam. We’ll do another article soon on what exactly the licensing exam entails, but basically, it’s a 4-hour exam that’s broken into 2 parts: a written portion and practical (hands-on) portion. You need to show that you know what you’re doing and that you have a firm grasp of the health & safety measures that must be followed to keep both your future clients and yourself safe. If you’re exploring your school options, know that every school is required to list their students’ performance on this test on their website (look for BPPE Report). You’ll find it is not uncommon for only 60% of the students taking the test to pass the exam first time – whether those students are coming from the small, mom-and-pop schools or the big, national chain schools. Not to toot our own horn, but JD Academy had a 100% passing rate on our last BPPE report. Just kidding… We were absolutely meaning to toot our own horn. Part of the reason we’ve seen such great success is that our students participate in mockups of the state licensing exam once a month. We create stations meant to very closely mimic the actual testing site and then work with our students on the areas that they need help with. By the time our students take the actual exam, they’ve effectively taken it 10+ times before and have had a mentor personally help them through any areas they may have struggled. It’s a really good recipe that works. Now that you’ve got your license in hand, it’s time to get out there and put it to use. 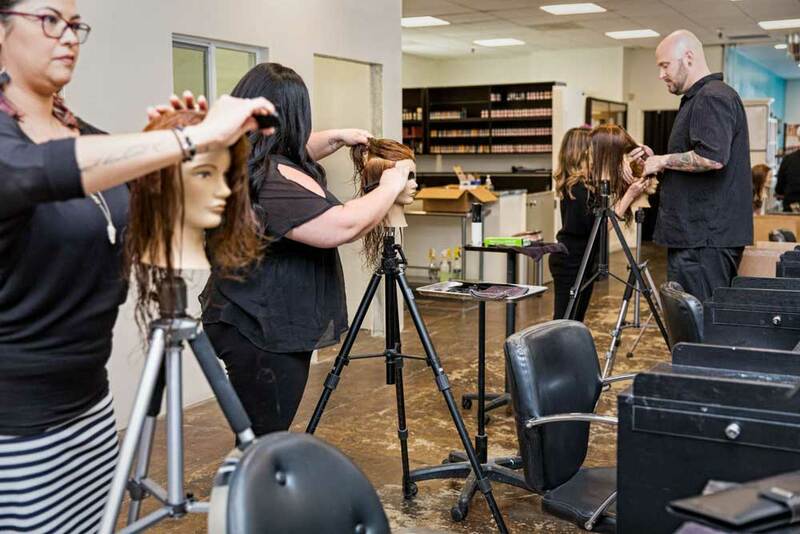 Getting just any job in the salon industry is relatively easy. There are a ton of salons hiring and it’s a continuously growing industry. You could always “buy” your way in as well – renting a chair at an established salon (renting a salon station right out of the gate without an established client base is probably not a great idea). 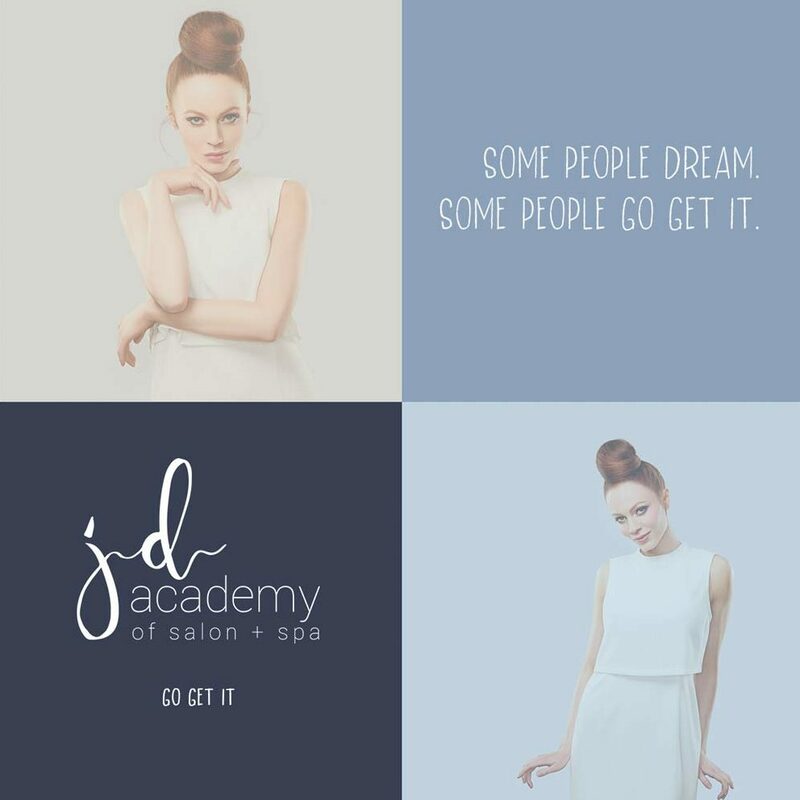 A big part of JD Academy’s business curriculum is helping you understand salon finances so you can maximize your profitability over the course of a long career. For some, maximizing your profitability will mean taking your first professional stylist role as an entry-level stylist at one of the big chains. That’s a great way to start earning a respectable income immediately while also building a client base and gaining resume-building experience. For other graduates, taking a stylist assistant role at a higher-end salon might be the right path. In a stylist assistant role, you’ll be working under someone who’s established a client base that’s larger than they can handle on their own. While that will typically pay less in the short term, it’s a great way to get your foot in the door at a higher-end salon and continue to learn the nuances of this industry from someone who’s clearly good at what they do. Typically, you’d be in this type of role for a year or two before taking your own chair – often with a selection of clients you’ve built during your time as an assistant. If you’re interested in a career as a hairstylist in California (or anywhere), go get it. Life will always try to throw hurdles in your way. From our flexible schedules to financial aid assistance, we’ll do everything we can to help you, but it’s up to you to go after your dreams. If you’d like to learn more, come see us for an hour. We’ll show you around our school, introduce you to some of our incredible educators and students, we’ll show off some of the amazing work those students are putting out and we’ll answer ANY questions you might have about what it’s going to take.